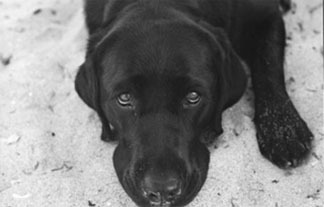 Whole Hound Inc. was born out an affection for dogs and a black lab named Lakotah. As a one-year-old, our dog, Lakotah, suffered from ailments more commonly found in older dogs: digestive difficulties, poor skin and coat, including mange, coprophagia, and worst of all, extreme arthritis in her hocks. Unfortunately something happened when Lakotah was young that essentially crashed her immune system. In order to support and strengthen her immune system function and to contribute to my vet’s efforts to help Lakotah, I became involved in her nourishment. I learned that dogs need wholesome food plus vitamins, minerals and essential fatty acids added daily to their diets, just like humans do. I began by upgrading her food and supplementing her daily with vitamins, minerals and omega 3 essential fatty acids. Next I added digestive enzymes to help her digestive issues and glucosamine and MSM for her arthritis. Lakotah responded beautifully to her dietary overhaul and slowly but surely she became stronger and healthier. 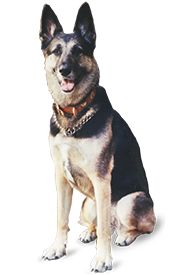 Lakotah’s recovery was so radical that it created a passion in me to help dogs suffering from malnourishment and ill health. I began working with a scientist to develop my own line of nutritional supplements and I created a company in 1999, called The Healthy Hound, where we made wholesome raw and cooked food and sold all 5 of our supplement lines for optimal canine health. At the time, the concept of feeding wholesome food and supplementing vitamins and minerals daily was not fashionable. Most of our customers were people with dogs who were sick and needed help so desperately that they were willing to try anything. We watched dog after dog dramatically improve from a simple, common sense approach of an upgraded diet + a daily vitamin mineral supplement + an Essential Fatty Acid supplement. It’s what we now call 3 Steps Forward Feeding. In 2008, we decided to create Whole Hound Inc. for the purpose of educating dog lovers on the benefits and importance of adding quality nutritional supplements to their dog’s daily diet. 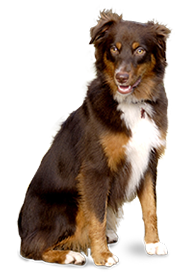 With over a decade of experience with our premium quality supplements for dogs, our goal is to help facilitate optimum health in dogs by promoting a 3 Steps Forward approach to feeding. While many pet lovers have taken the first step to better health, we hope that many more will take the next two and watch the proof in their dogs. 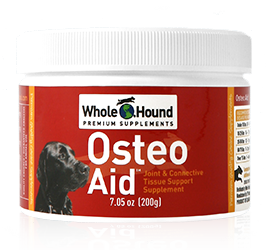 Simply put, if you’re looking for digestive enzymes, omega 3, vitamin supplements, and pain relief solutions for dogs, turn to Whole Hound. Our products have been proven the best on the markets of both Canada and the United States. Dog supplement doesn’t get any better than this.